I'd definitely want to have the Kualsi and the Matatu. Teleportation and telekinesis. I'm all set. Aesthetics wise, I still really love the Mata Miru, Adaptive Miru and the Noble Ruru. Appearance wise: I'm partial to the Hau. Power wise: You can't beat the legendary masks. 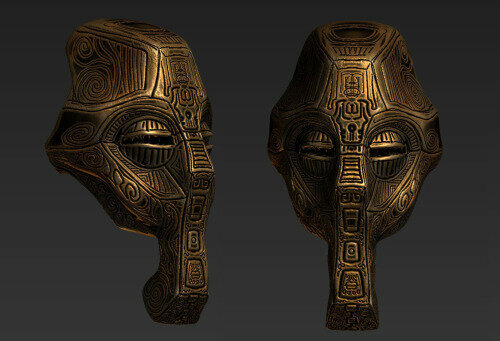 My favorite Kanohi is the Noble Huna, mask of concealment. Look at my avatar. The Pakari is a close second. Alright, Favorite is hard but I gotta list so let's do this. Alright that's all I got. I like the Akaku Nuva the most, but ironically enough I've never owned one. Besides that, I absolutely love the Jutlin. Seeing it online hyped me up quite a bit for buying Antroz. Actually, now, I think it's the Zatth. My favorite one in terms of visual appearance is the noble version of the Ruru. The good ol' Great Kakama! Where'd you find that rendering, its fantastic? Are there more of them for different masks?